In the present model, the author offered a numerical treatment on dual solution of water-based nanofluid together with motile gyrotactic micro-organisms accompanied by tiny nanoparticles with radiation effects flowing on non-linearly shrinking/stretching sheet. Set of governing equations converted to non-linear coupled ordinary differential equations by similarity transformations and solved numerically using fifth-order Runge-Kutta-Fehlberg method by shooting algorithm. Impact of physical parameters on velocity, temperature, concentration, and density of motile micro-organisms distribution was reported graphically and explained in details. The present results explore the enhancing effect of bioconvection Lewis number, bioconvection Peclet number, and micro-organisms concentration difference parameter resulting in a decline of dual density of motile micro-organisms profile, whereas temperature profile enhanced with a boost in thermal radiation parameter. Finally, the present investigation was compared among offered consequences in literature. Saleh T.A. & Gupta V.K. 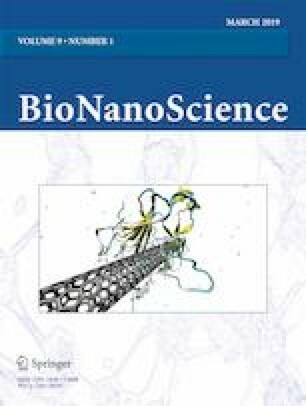 (2016) Nanomaterials and polymer membranes synthesis, characterization and applications. Elsevier, https://doi.org/10.1016/C2013-0-19381-6. Ahmed, N., Shah, N. A., Ahmed, B., Shah, S. I. A., Ulhaq, S., & Gorji, M. R. (2018). Transient MHD convective flow of fractional nanofluid between vertical plates. Journal of Applied and Computational Mechanics. https://doi.org/10.22055/JACM.2018.26947.1364 Article in Press. Adio, S. O., Asif, M., Mohammed, A. R. I., Baig, N., Arfaj, A. A. A., & Saleh, T. A. (2018). Poly (amidoxime) Modified magnetic activated carbon for chromium and thallium adsorption: statistical analysis and regeneration. Process Safety and Environment Protection. https://doi.org/10.1016/j.psep.2018.10.008 Article in Press.